Gold… real, genuine, honest-to-gosh gold. 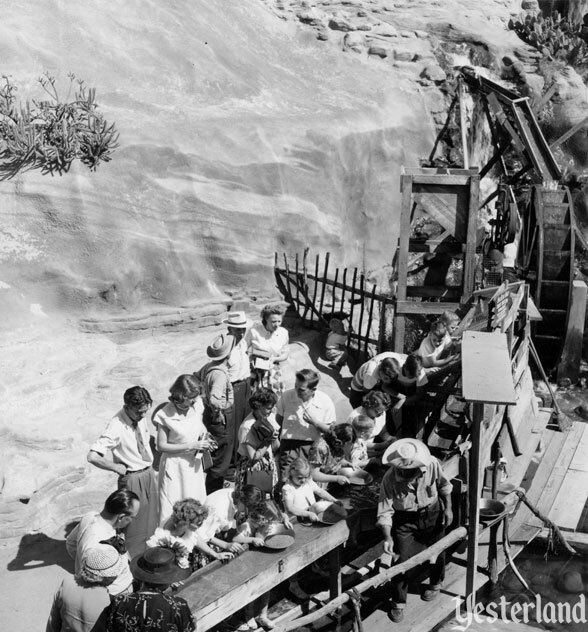 Here at Yester Knott’s Berry Farm, there’s a gold mine in the gully next to the only active volcano in Southern California. You can pan for real gold and take home the results of your efforts. What are you waiting for? Head into the gulch. There are two ways to descend to the mine floor. One is to walk down the steps. The other way—the fun way if you’re a kid (or a kid at heart)—is through a mine tunnel. Inside, there are peeks at mining scenes. When you get to the bottom, there are two ways to enjoy the attraction. 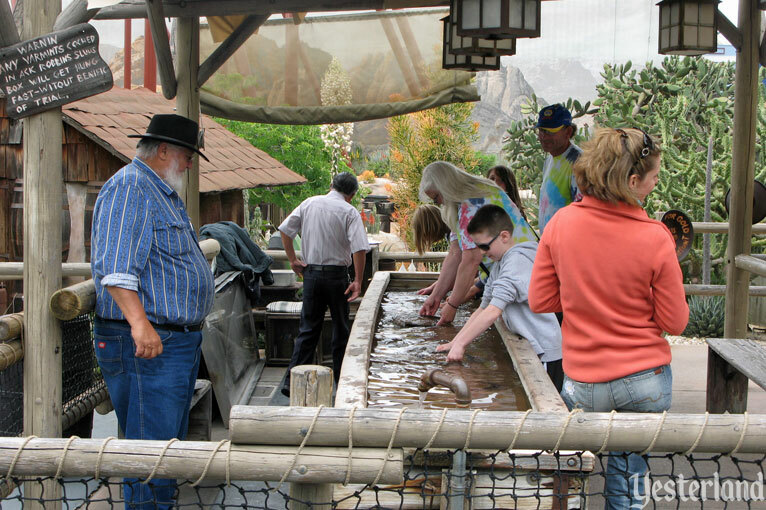 You can watch other visitors pan for gold. That’s free. But if you want to experience what it’s like to pan for gold yourself—and maybe to strike it rich—you’ll need to get in line and reach for your wallet. Pay your fee. Now it’s your turn. 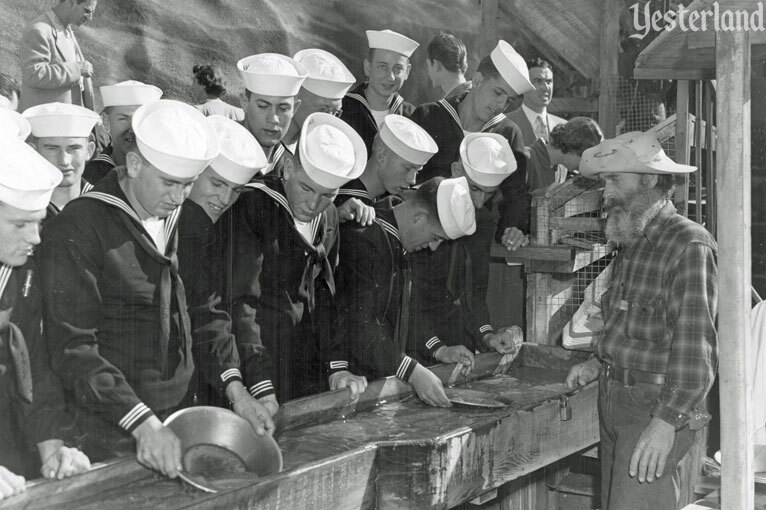 The prospector scoops up a pan of sand with 22-karat gold specks from the bottom of the water-filled trough. He gives you a quick lesson on how to lose the sand and keep the gold. Now you’re on your own. Swirl your pan in the water. The sand is lighter than the gold, so the sand goes over the pan’s edge, while the gold stays behind. Eventually, only the gold flakes remain. The prospector puts your gold in a small vial. It’s yours to keep! Where there’s gold, there can be gold thieves. 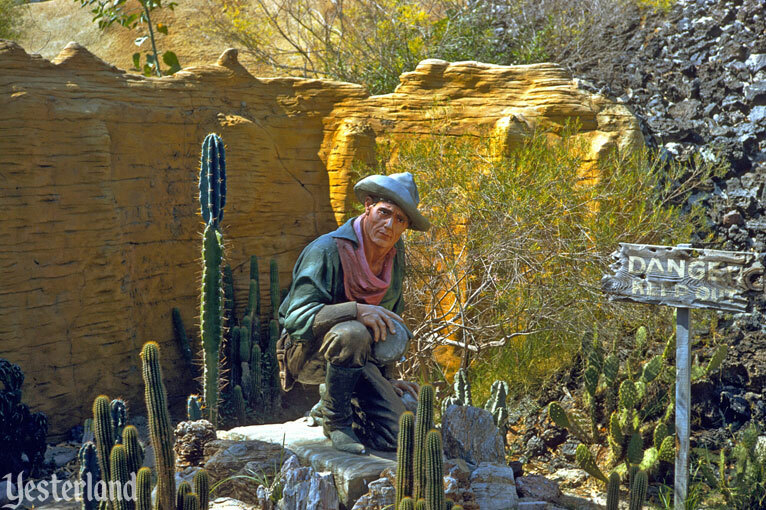 In 1968, Gilbert Glenn Cornell, a Knott’s employee whose job included replenishing the gold, was charged with stealing 318 ounces of gold over a two-year period. Police said Cornell was checking out three cans of soil salted with gold flakes from the park’s administration office but only using two of them at the mine. He took the third can home, averaging one a day, they said. Walter Knott, owner of the amusement center, said there are 2 ounces of gold mixed with sand in each can. 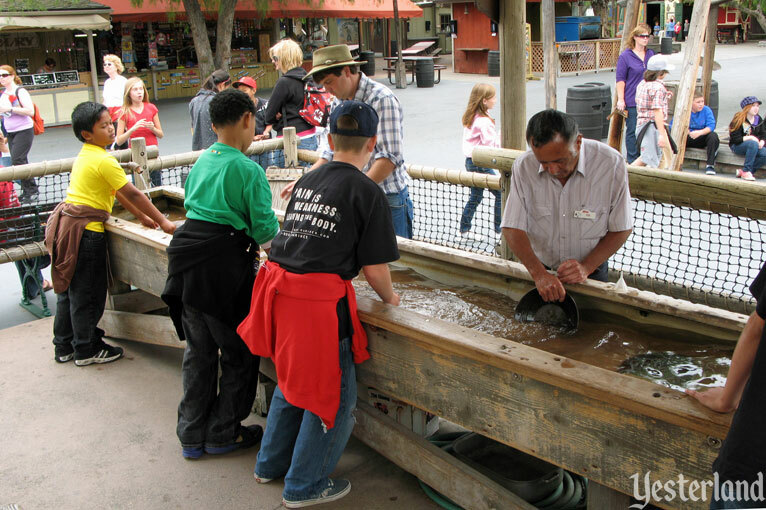 The mixture is poured into a trough where, for 75 cents, visitors can pan for real gold and keep what they find. The thief was sentenced to 90 days in County Jail and three years probation, and ordered to pay $10 thousand restitution to Knott’s. It could have been worse. In the real Old West, he might have faced a hangman’s noose for stealing gold. 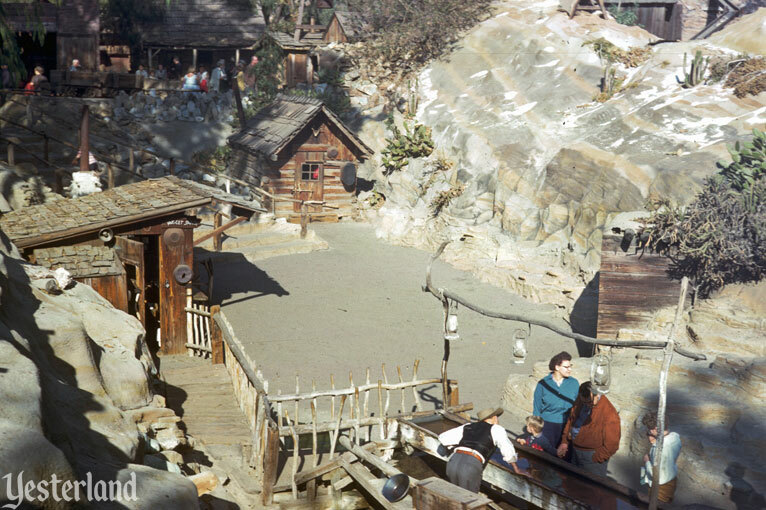 The news reports of the crime and the trial proved that Pan For Gold uses real gold—and that Knott’s Berry Farm has to buy the yellow metal on a regular basis. 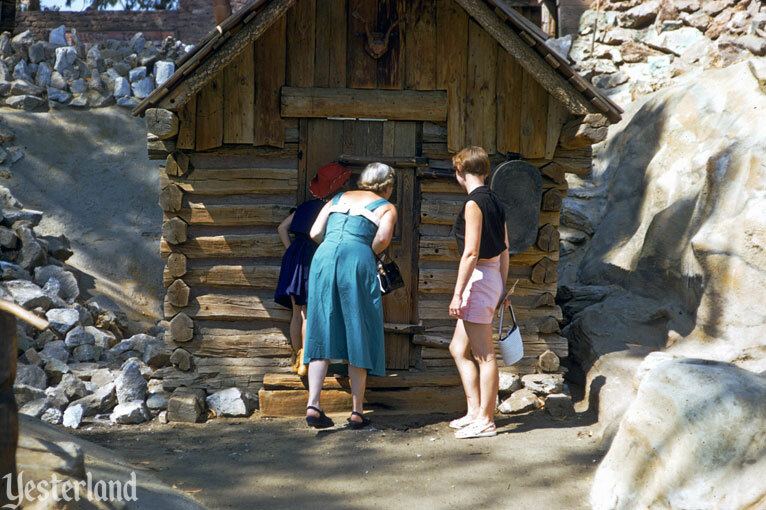 For the first 20 years of the attraction, that wasn’t a problem—with the market price of gold steadily remaining near $35 an ounce. Then the price started to climb. 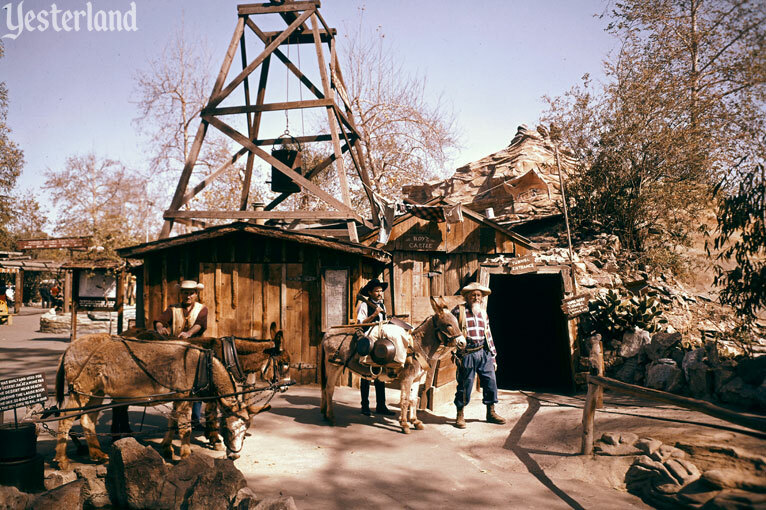 There’s still gold in Knott’s Berry Farm’s Ghost Town and amateur prospectors are panning for it in increasing numbers as the price of the precious metal soars. 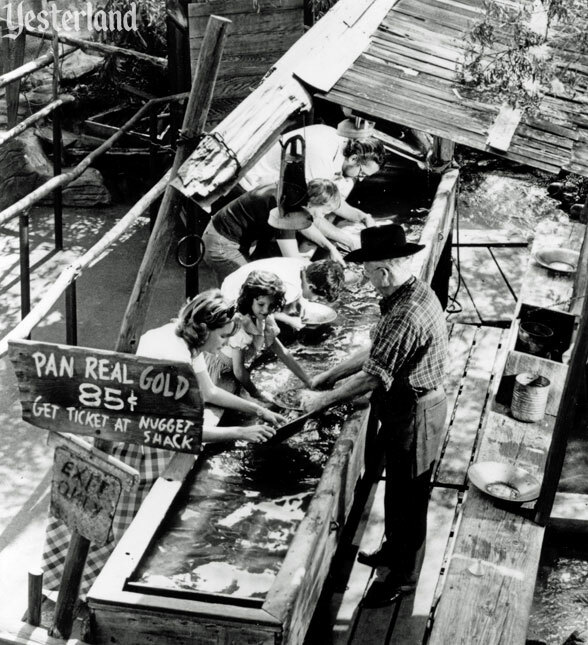 At the same time, the charge for panning gold dust or flakes in the farm’s trough has climbed from $85 cents to $1 a try and may have to go to $2 to keep up with the pace of the market, according to Steve Knott, grandson of farm founder Walter Knott. The average pan has been netting $1.05 worth of gold, Knott says. But that has not created a problem Knott explained, because the farm is still using a supply of gold purchased for $550 an ounce or less. All panners get some gold. Knott buys gold regularly from individual miners as well as the main suppliers in Northern California and the Yukon. The price of gold—and of Pan For Gold—continued to climb. 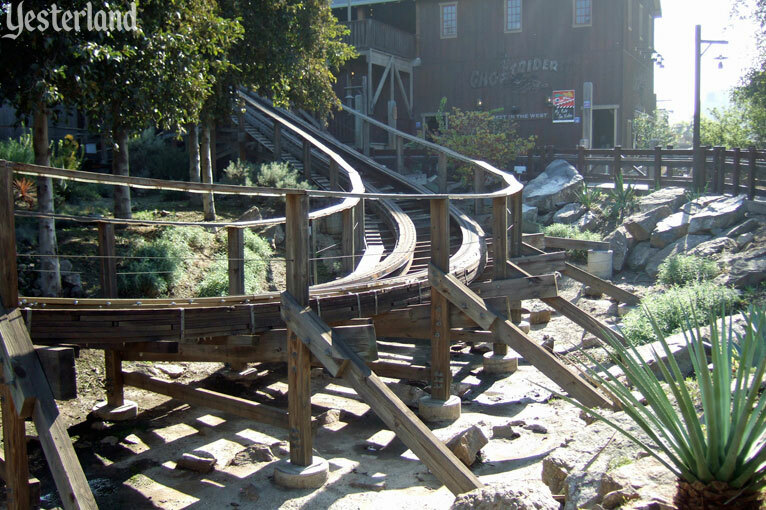 In 1998, Knott’s opened GhostRider, a 4,533-foot-long, 118-foot-high wooden roller coaster. The massive ride needed a massive queue. 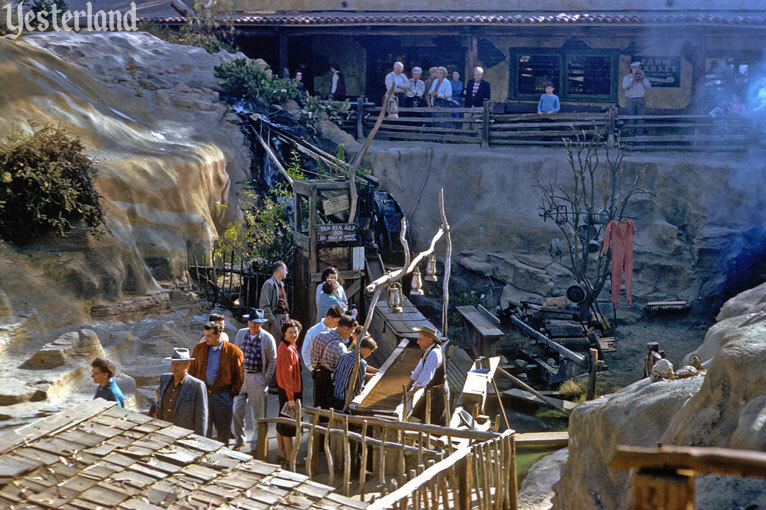 The queue needed to begin in a high-visibility location, even though the track was behind Knott’s California Marketplace. 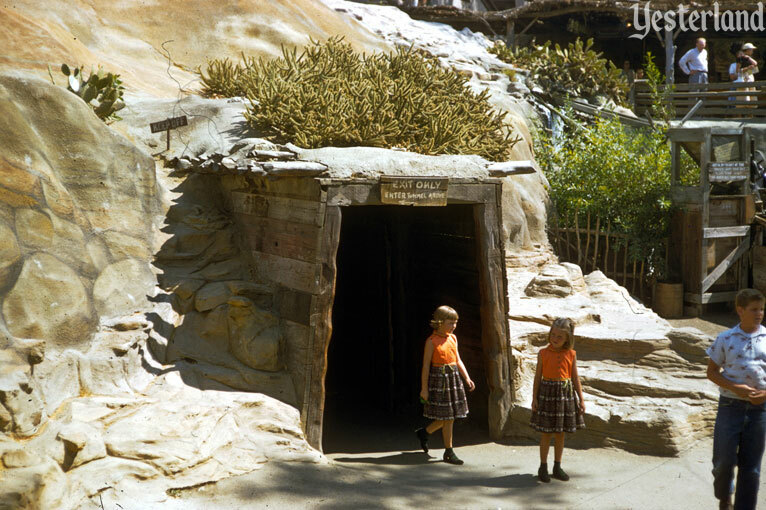 The Gold Mine tunnel became the beginning of the GhostRider queue. 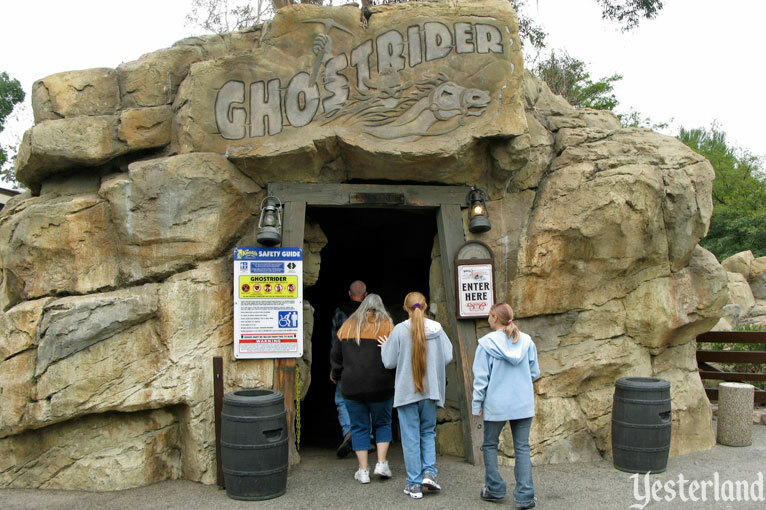 New rockwork with the GhostRider logo covered the original entrance. But that wasn’t the end of Pan For Gold. It moved to a new location near the park’s Boot Hill Cemetery. 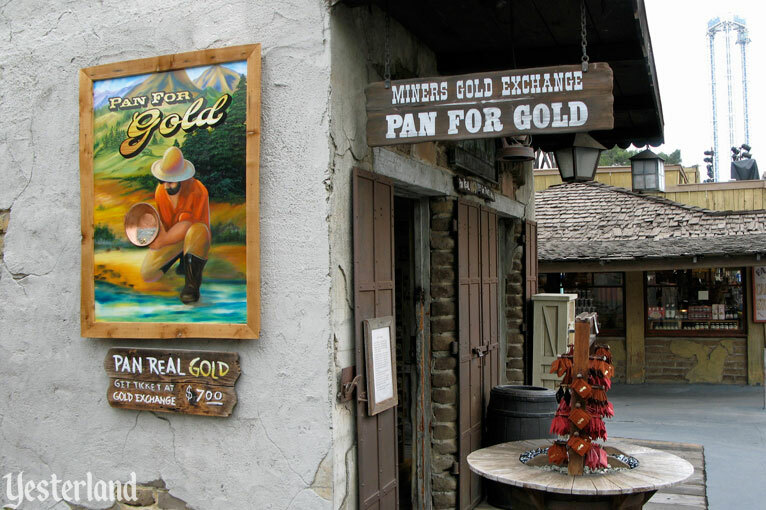 On April 7, 2016, Pan for Gold moved back to its original location. GhostRider hasn’t gone away. 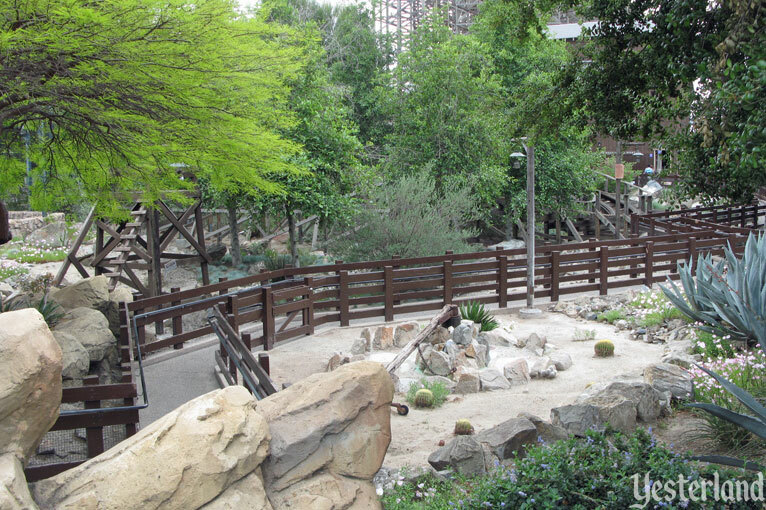 In fact, work began in September 2015 to restore and preserve the classic ride—still the longest, fastest, and tallest wooden roller coaster on the West Coast. The project includes re-profiling and a complete wooden re-tracking of the entire 4,533-foot-long track. 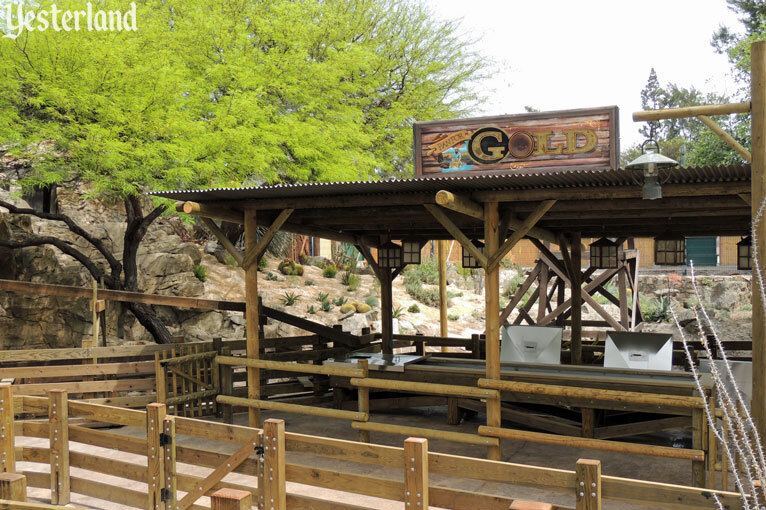 The Gold Mine tunnel entrance remains part of the GhostRider queue. The ravine is shallow. But Pan for Gold is back where it belongs—and it looks great.